2017 Tall Ships Festival date confirmed for 27-29 May! Gloucester’s flagship, award-winning festival returns to the Gloucester Docks during the Spring Bank Holiday in 2017. A flotilla of tall ships will once again be sailing up Gloucester Sharpness Canal and dropping anchor in the main basin, so signalling the start of the festival. Alongside the ships will be fun and friendly historic characters, marauding pirates, live music, arts and crafts, food stalls, kid’s activities and much more, ensuring a great day out for all the family. Gloucester’s immaculately-preserved Victorian docks not only attract local visitors and festivals, but have played host to major international filming crews in the past, such as Disney. Back in August 2014, Disney had begun filming the new Alice in Wonderland sequel, Alice Through the Looking Glass. Disney producers said “around the docks there are some absolutely amazing unspoilt areas, and that’s what makes filming here so useful”. It was in fact location scouts coming across images of The Gloucester Tall Ships Festival that brought the famous docks to their attention. The Disney movie also featured the Earl of Pembroke, which appeared in Gloucester’s dry dock for the 2015 Gloucester Tall Ships festival and was an attraction where visitors could get up close and personal and even walk underneath the awe-inspiring vessel. It was in 2007 that the first Tall Ships Festival took place, following the devastating floods in the area and was created in order to lift the spirits of the people in Gloucester. Since then, the festival has won several awards, including silver in Cotswold Tourism Awards and a Waterways Renaissance Award. 2015’s Tall Ship Festival was arguably the best so far, with 120,000 in attendance, demonstrating the continued success that the Tall Ships Festival generates. 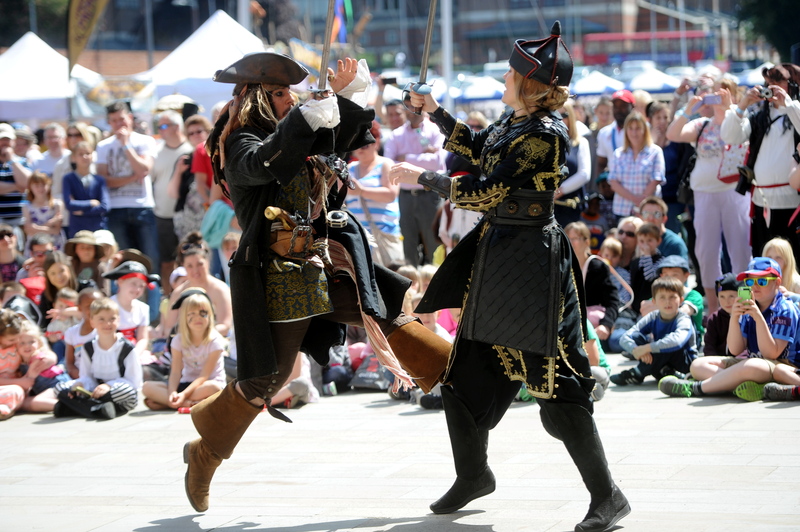 Mhairi Smith, events director at Marketing Gloucester said “We are overjoyed with the achievement that Tall Ships has been having and especially with the 2015 festival being so successful. We can’t wait to put on the next one for Gloucester in 2017 and build on its progress”.